Currently, mine is a modded 2018 PRS SE Tremonti Custom that I recently got. 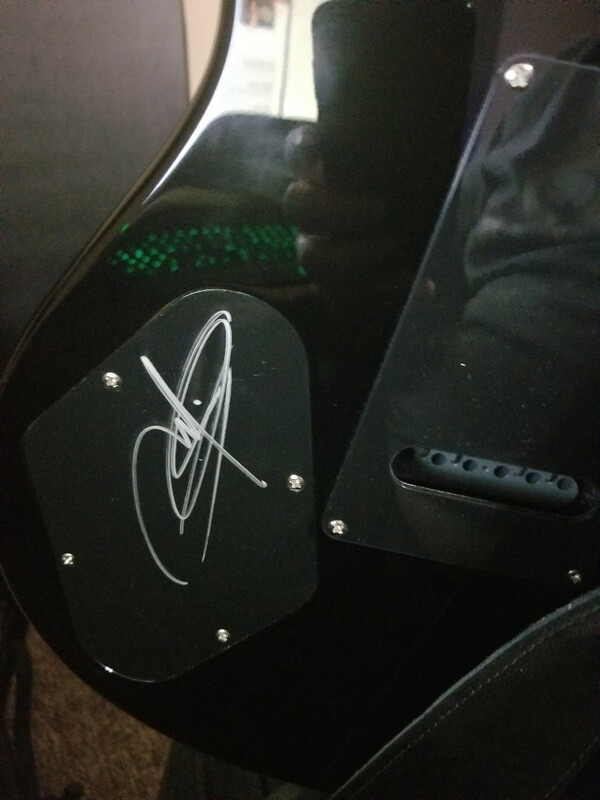 I was able to catch one of Tremonti's last US shows last week, and got him to sign my backplate, and initial an ebony truss rod cover for it. (Backplate and truss cover have some clear coat on them, to preserve the awesome). Mods so far are Grover 406c locking tuners with ebony buttons made for grovers on them, and a Core US PRS nut. There is the full look of it, from when I bought it earlier this year. I'm pretty sure your awesome Green beloved guitar would be the favourite of many. It is truly a beautiful, versatile treasure. I will have to settle, when they finally arrive, on my SE245 Standard and SE Custom 24 as favourites - on backorder still, they will be my owned favourites for a while, and I consider myself more than fortunate to have them arriving. Just because you're Paranoid, that doesn't necessarily mean they aren't out to get you. I'm pretty basic but my favorite that I own has to be my 2006 Aerodyne Stratocaster. I love strats that don't have pickguards for the aesthetic, and I'm actually a huge fan of the super round 7.25" radius neck. 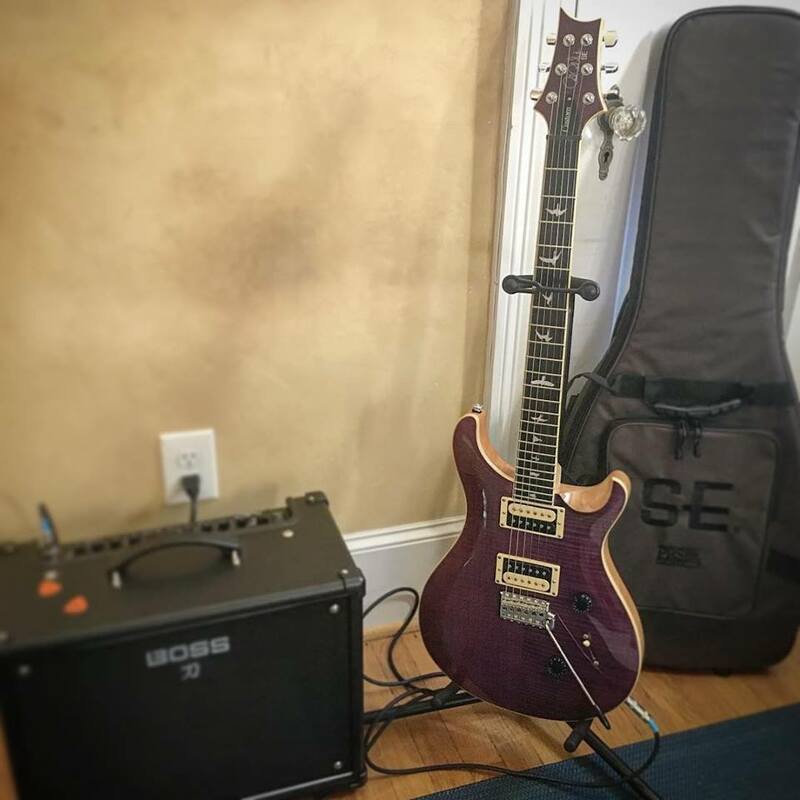 Here is my beloved PRS Custom 24. I saved every penny, rolled change and saved forever for this. An incredibly beautiful guitar and one worthy of the many sacrifices you've made to finally get it. I have done the same for my PRS SE245 & Custom 24, which are, as I type, making their way to me up the Eastern coast of Australia. Your core instrument is truly awesome and I wish you a lifetime of pleasure with it. This is my dad's old 1972 Yamaha FG 75, which he gave to me after I first started to learn to play guitar. The neck angle isn't great, though it's far from unplayable (the intonation isn't great, though). All the same, it's the guitar I've learned the most on and I take any chance I get to pick it up and play it. 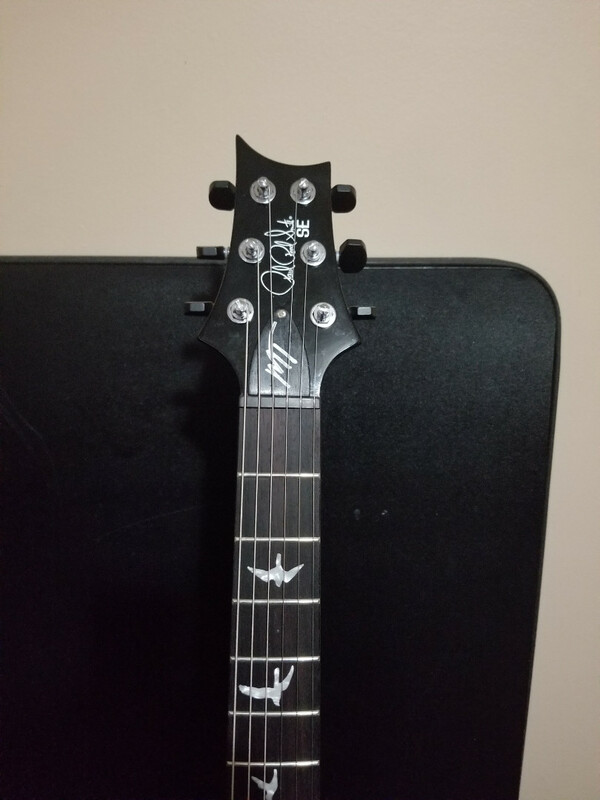 I would say currently out of the guitars I own, my Seagull Entourage is my favorite. I bought this guitar to replace my previous acoustic that was unfortunately broken. This was the first guitar I bought after leaving a particularly difficult chapter of my life, and holds sentimental value as well. 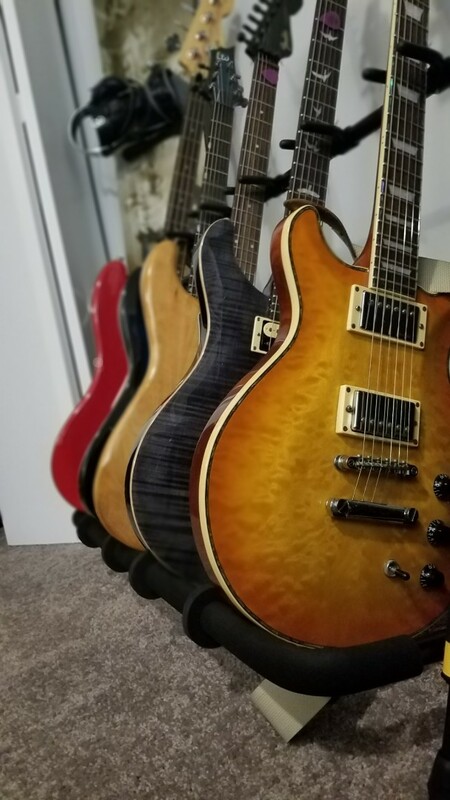 Your Hamer is a great looking guitar, and that particular colour and burst as a general colour range always gets my attention. Nice stuff, thx for sharing. 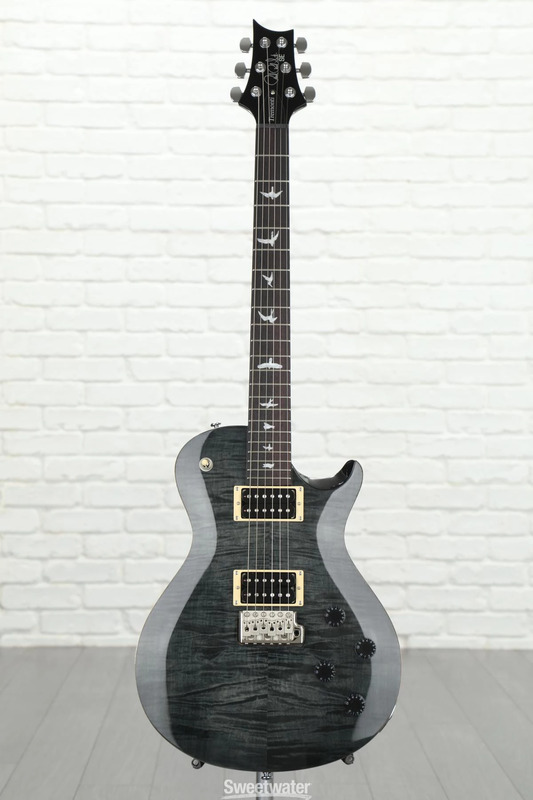 Eagerly awaiting my back order of a PRS SE245 in Vintage Cherry, and only just received my PRS SE Custom 24 in Spalted Maple. Oh man, that spalted maple is beautiful! I have had a MIM strat for a few years, and it's great, but in my hands, my SE Custom 24 is just perfect. It's pretty new for me, but it is aweome!